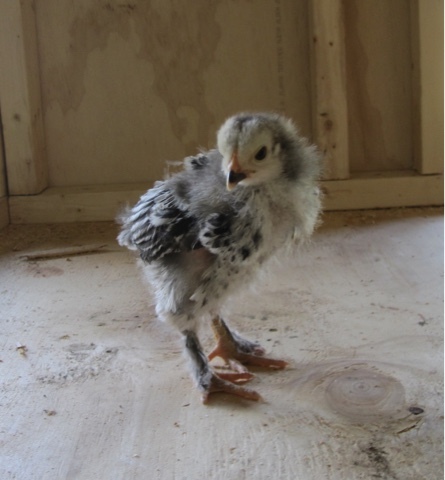 I received a ton of wonderful suggestions for naming the chicks. I have to give a big Thank You to everyone. I know you have been dying to find out what their names are, so I thought I would reveal them one at a time in several post! Just kidding...I wouldn't make you wait that long. I also know you can't wait to see more pictures of them! 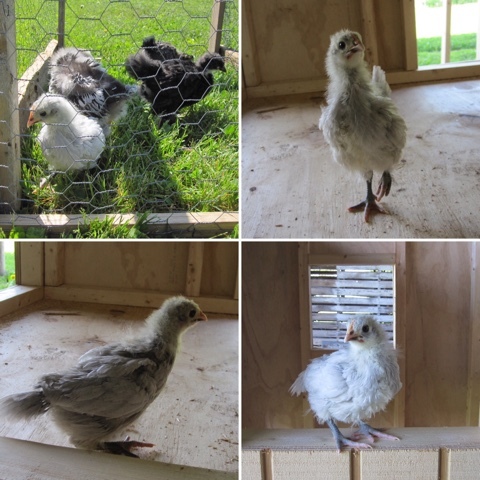 They have grown so much and are really feathering out. They have started facing off against eachother, they stretch their necks way up trying to get taller. 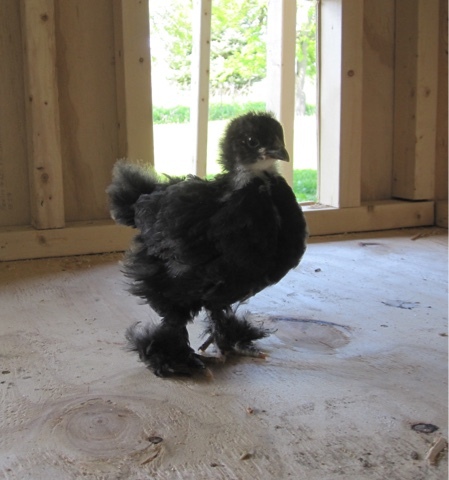 It hasn't gotten violent yet, the two I see doing it the most are the Lavender Orpington and the Lighht Brahma. It will be interesting to see who comes out as top chicken. 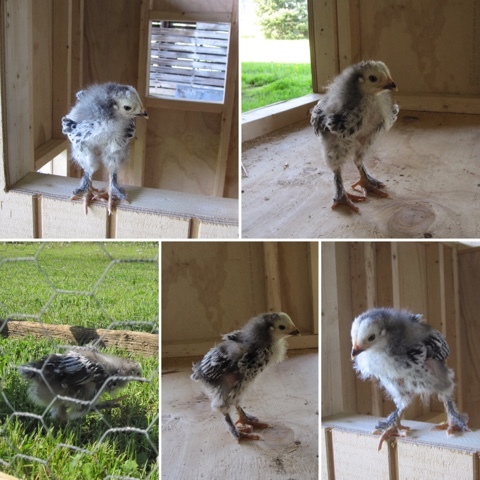 I took these photos in the chicken tractor I'm building for them. 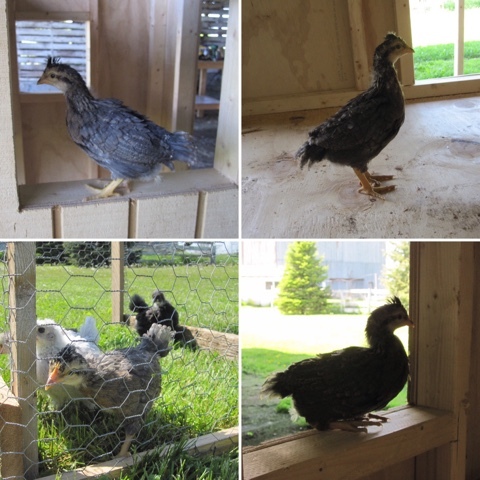 For those that don't know a chicken tractor is a movable coop, more on that later. This is the name I originally thought of for her and I received a couple of people agreeing with me. I think it fits her very well. There were some other great suggestions like, Ms. Orp and Lolly. Lillian was my Grandmothers name and I wanted to name one of them after her. 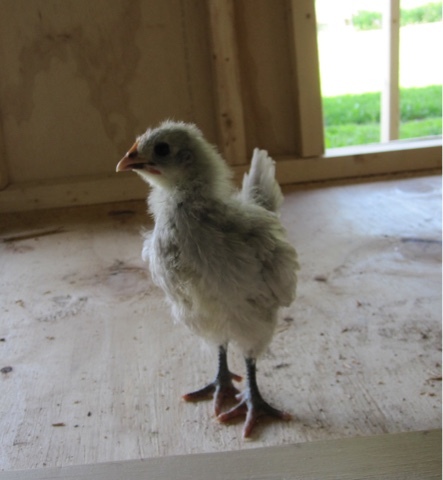 I think the Light Brahma works very well for her name. The initials are the same, LB for Light Brahma and Lillian Buller! 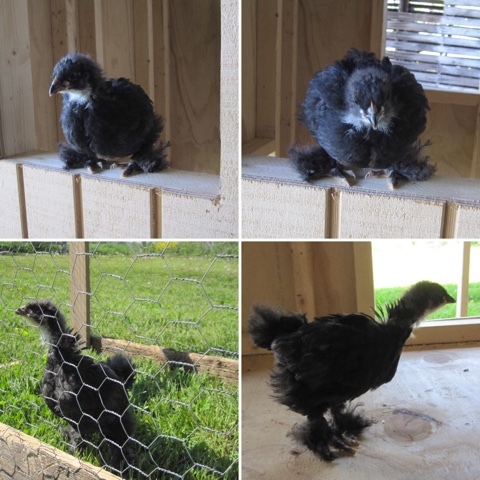 If she ends up being the top chicken in the pecking order it would make the fit even better. My great Uncle Bob always said that "Lillian wore the pants in the family!" Again I received some great ideas for her name, like Maude and Farrah. Some of my friends on Facebook really took some time to offer suggestions. Connie had originally suggested that since the Cream Legbar was chummy with Laverne her name should be Shirley, but she doesn't seem like a Shirley to me. Then Connie suggested since her breed is from England and the Queen of England is Elizabeth Alexandra Mary she could be called Queenie, Lizzie, Queen Liz or Queen Mum. That got me thinking, my Aunts name is Elizabeth but she goes by her middle name Ann and her and her girlfriends call themselves Queens, so I decided to name her Queen Ann, and Queenie for short. 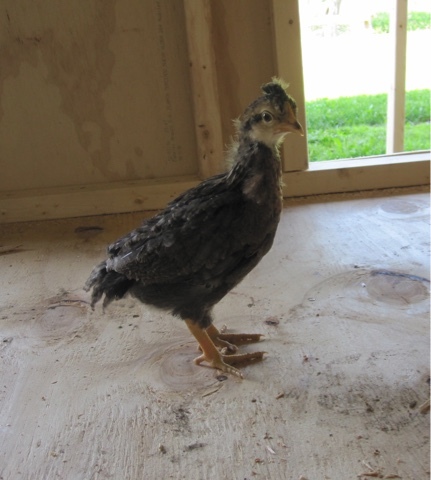 You can see the small feathers on top of her head kinda look like a crown or tiara right now. Another great suggestion was Hermione. I absolutely loved Wilma's attempt to play on the words Cream Legbar and Queen of England and call her Cream of England, but she was right it just sounds like soup! This came from Connie's suggestion using the Blues music genre for inspiration. BB King's guitar was named Lucille. Even though it doesn't look like she is going to have the "blue" coloring I still liked the name. Connie put so much thought into all her suggestions. A couple other suggestions I got were Wynonna and Bertha. That was very fun and again I want to thank everyone for all their help. Well its time to go check on the girls!